Do you want to see your friends more? We can help. 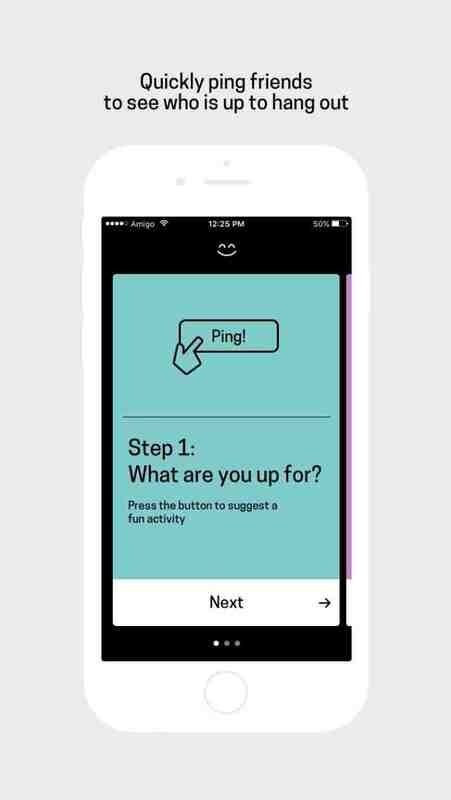 Amigo makes it easy by suggesting things to do and simplifying planning with a group. See who is up to hang out with 1 SMS and let friends RSVP with 1 click as opposed to 20 emails or group texts. Amigo makes it easier to connect with friends in person. Amigo makes it easier to see your friends. Amigo sends 1 text and friends can rsvp with 1 click instead of 20 texts and emails just to set up brunch.